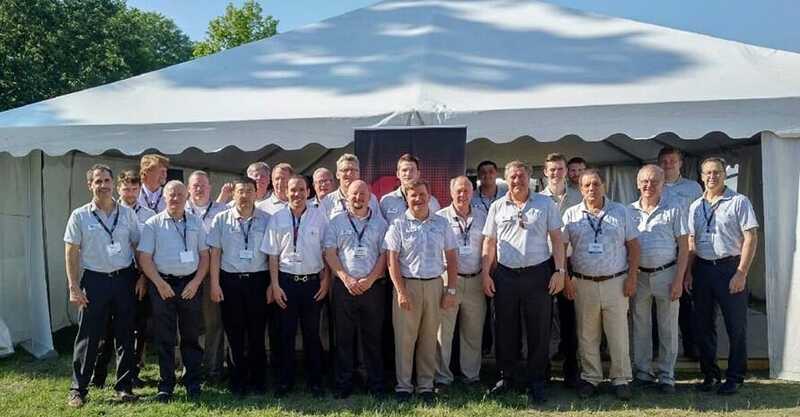 Last week we attended the World Pork Expo in Des Moines, Iowa, writes Jim Long President – CEO Genesus Inc.
* The World Pork Expo had good attendance and was blessed with sunny – warm weather. * We don’t know many people came but there appeared to us most of the major players of our industry were represented. * The Expo was well organized with lots of exhibits. No one attending would ever say there is not something to see or do. * Appears to us a significant number of finishing barns are being built in the U.S mid-west. * On sow expansion we believe 70-100,000 sow spaces will be built or started in 2016. Not a massive number. If 1% of the U.S sow barn inventory is closed for various reasons annually, we need 60,000 sow spaces to maintain zero growth. * Lots of talk about the new plants under construction. Triumph, Hadfield, Prime and Moon Ridge. Seems hog production to fill plants will come from existing production flows. Heard of one Nebraska system of 50,000 sows leaving one to go to a new plant. The chase will be on for hogs. We cannot see how there is expansion to fill all the shackle space that is coming. * Producers we talked to are cautiously optimistic. They are nervous about the 10% jump in corn prices and soymeal prices. On the flip side it appears the U.S crops are growing fine so far. On our trip to the Expo last week we saw crops that look good in Illinois and Iowa. * We are advocates of better pork eating qualities, with that we understand we attract likeminded industry participants. We do have to say this Expo was like none other with retailers and packers engaged in the discussion. We believe that our industry is on the cusp of a revolution in product quality movement. It won’t be based on lean but on marbling, colour and taste. When retailers tell us we need better tasting pork we need to listen. It shouldn’t be based on breed but on product that delivers the traits of taste. It would be a mistake to base quality on for example the Duroc breed, (what consumer would ever have heard of it?) We need the product to base on eating qualities and attributes with minimum standards of the taste flavour traits. Genesus has a super Duroc but all Durocs are not the same in quality. As an industry we should focus on results not the process, results are what will drive the demand. If we could have every American eat one more meal of pork a month that would be an increase of 10 million hogs a year. Real demand can drive price. * The Swine Genetic Business is always going through upheaval. At the Expo there were all the usual suspects, the battle for business is fierce and the need to have money for continual genetic improvement is crucial. IE. “Pig Breeder Topig – Norsvin lost €1.7 million ($2.4 million) last year due to the reorganisation of its Chinese business. Turnover was up €10 million to 119” (Source Boerderij Vanaag). It will be interesting long term if the Norsvin – Topigs merger stays together. We understand Norsvin always was financially successful in the past. Merge resources, lose money not a good scenario. * Europe has been successful in exports to China since the Russia food ban (pork). They will need to continue to be. Russian Prime Minister Dimitri Medvedev has extended the ban on European food to the end of 2017 (Source Euocame on line). Russia is determined to be self-sufficient in food, the ban is certainly creating a dynamic that encourages such a plan. The ban also continues on all live swine including genetics from E.U continues. We had visitors at the Expo from E.U who are increasing their plant size for China Market. They believe that China will be long term importer of Pork, putting their money on the line in that belief. * Lots of Chinese at Expo, there feeling good, making $180 U.S per head. They will build new farms but it will be slow. We expect China will be big pork importer through 2017. * Last October when we were in Mexico there was talk of up to 150,000 new sow places being built in 2016. Then prices got soft. Not much getting built probably 25-30,000 sows. Central Mexico getting hurt by PED we were told. The Expo was well organized it was well attended. There are sow barns being built but not at a level to overwhelm demand. Big question will be feed costs and if they keep going up it could cut expansion plans.